The international exhibition ALL4PACK-2016 took place in Paris from 14 to 17 November. It becomes a major industry event for producers of packaging technologies, equipment and materials every second year. RETAL participated in this specialized forum for the first time. ALL4PACK is gathering pace with each new event. This year, the total number of participants exceeded 90 thousand. Exhibition organizers have increased exhibition space specially for ALL4PACK-2016, and the forum’s slogan was Let’s be creative. RETAL modernized stand was totally able to fully comply with a given concept. The latest development of the company - containers for dairy products (their success has been recently highlighted by award from DANONE), stirred a particular interest. 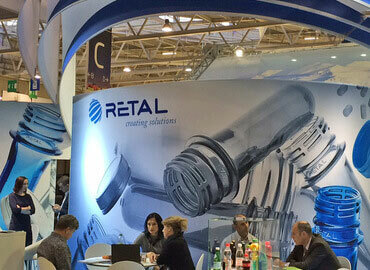 Through participation in ALL4PACK, RETAL presented their products to more than 400 potential clients from Benelux countries, France, Southern Europe and North Africa.